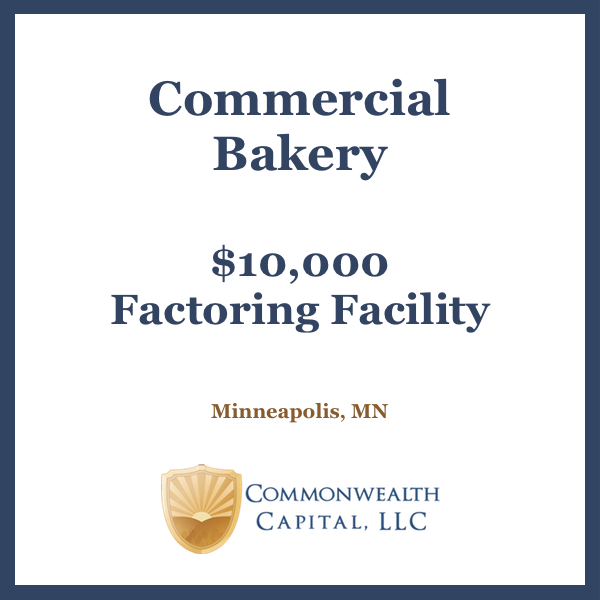 Commonwealth Capital, LLC, a leading provider of invoice factoring to businesses in the Upper Midwest, today announced that it has provided a $10,000 factoring facility to a Minnesota-based commercial bakery. The bakery had recently started selling to commercial accounts, and was in need of a temporary solution as they applied for their SBA loan. 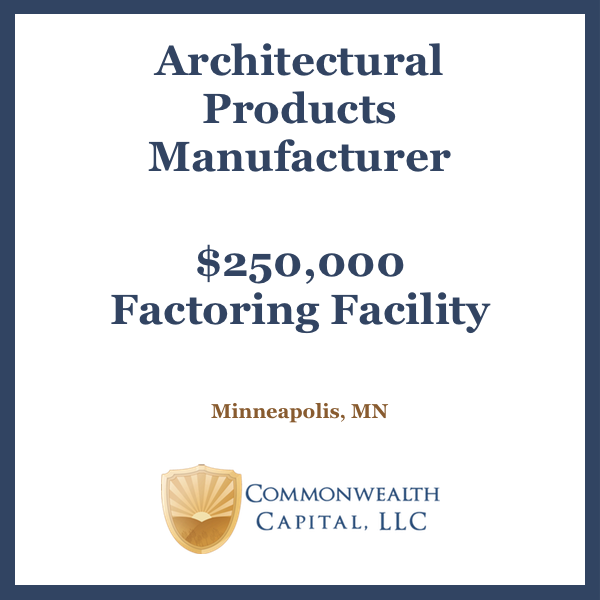 Their new commercial customer, a large government institution, caused an immediate need for additional working capital to purchase their ingredients in larger quantities. 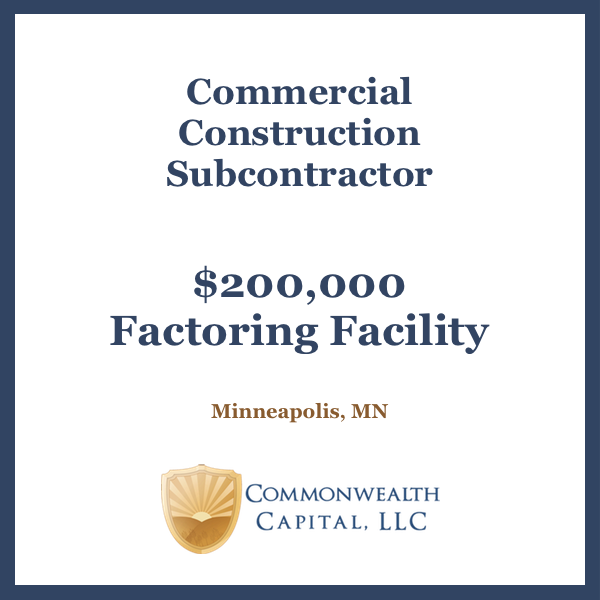 The factoring facility was set up and funded within 4 days, providing the bakery with cash instead of invoices. 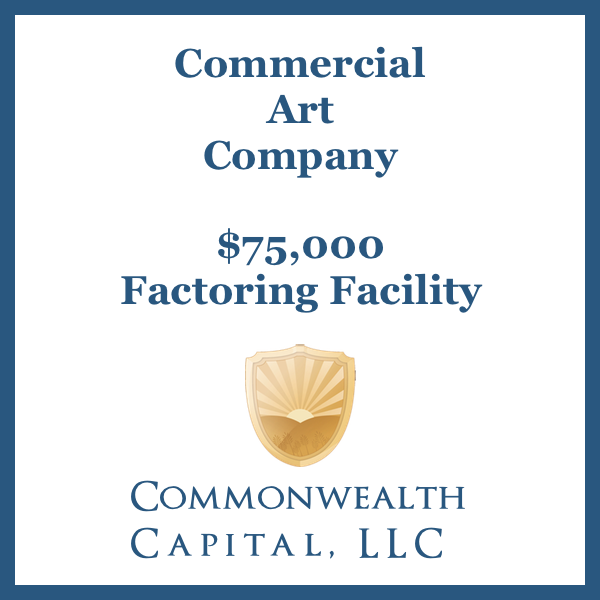 The bakery now has a flexible source of working capital that can grow as they grow their commercial baking business. 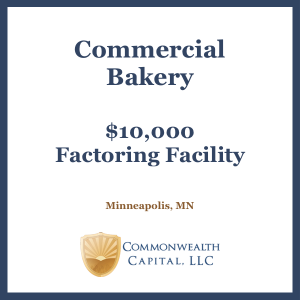 By utilizing Commonwealth Capital’s expertise in managing receivables, the bakery has a partner that can fund the growth of their commercial accounts. 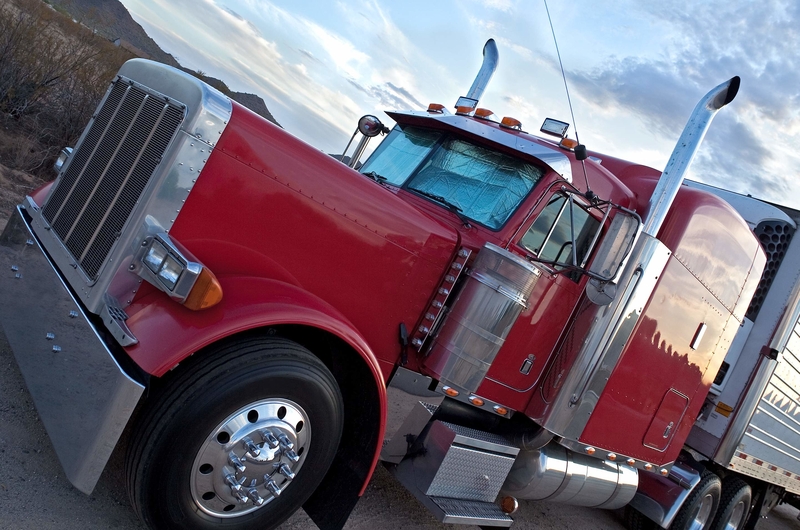 Instead of waiting for payment on invoices, they have the cash flow needed to stay on top of payroll, purchase ingredients in bulk, and book new customers.